– Medebra is reimbursable, 2 per post operation. 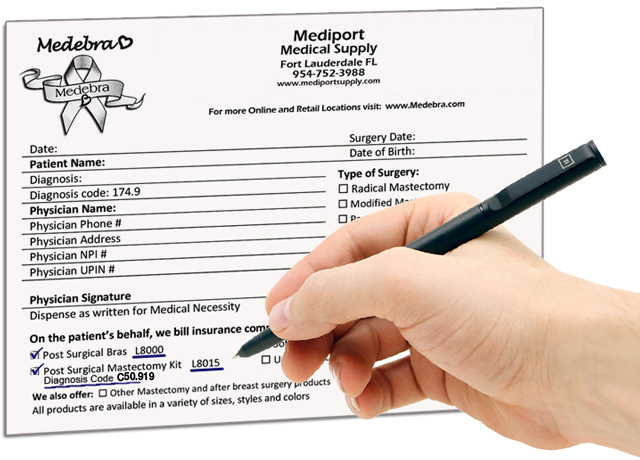 – Post Surgery – Any related to breast surgery. You can purchase any Medebra online or at a store. But you need your doctor’s prescription and code of the Medebra or Medebra Mastectomy kit in order to be reimbursed by your insurance.